2016 Porsche Macan GTS revealed | What Car? 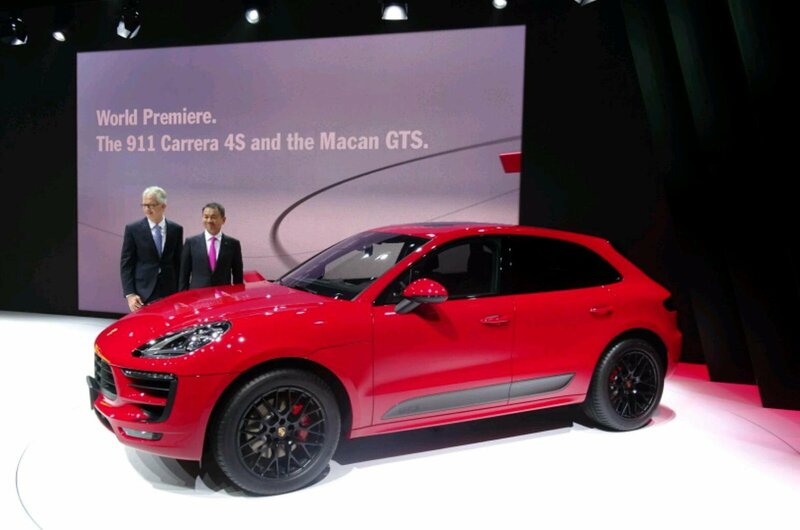 Porsche has added a GTS version to the Macan range. The new model is on display at the Tokyo motor show. The Macan GTS slots into the range between the Macan S and Turbo. What engines does the Macan GTS come with? Just one engine is available: the same 3.0-litre petrol unit as in the Macan S. It has been tuned to increase power by 20bhp from 335bhp to 355bhp and comes with a seven-speed double-clutch automatic gearbox. Porsche has also upgraded the brakes to cope with the extra power. Porsche’s Active Suspension Management system comes as standard, as does a sports exhaust system. The Macan GTS has a top speed of 160mph and gets to 62mph in 5.2sec. Add the Sport Chrono package for £729 and this drops to 5.0sec. Official fuel economy is rated at 31.4mpg, while CO2 emissions are 212g/km. How much equipment does the Macan GTS come with? On the outside, you’ll find 20in matt black alloy wheels and gloss black detailing. In the cabin there are GTS-badged sports seats. Optional extras include an electronic tailgate and LED lights. The red paint pictured is unique to the GTS, as with other GTS models in Porsche’s range. How much does the Macan GTS cost? The Macan GTS starts at £55,188 and is available to order now with the first cars expected to arrive at the start of 2016.